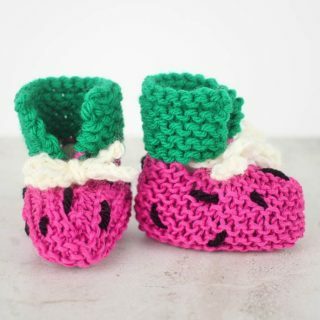 When it comes to summer garments, people don’t necessarily think of knitting right away as a great DIY option. 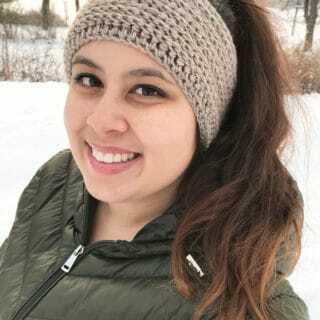 Everyone always assumes that knitted things are heavy and hot because they’re made out of wool, so they often reserve their knitting time for the winter when people need hats, scarves, mittens, and toasty sweaters. In reality, however, there are plenty of wonderful summer patterns and light weight wool that actually make the perfect summer garments for a breezy day! 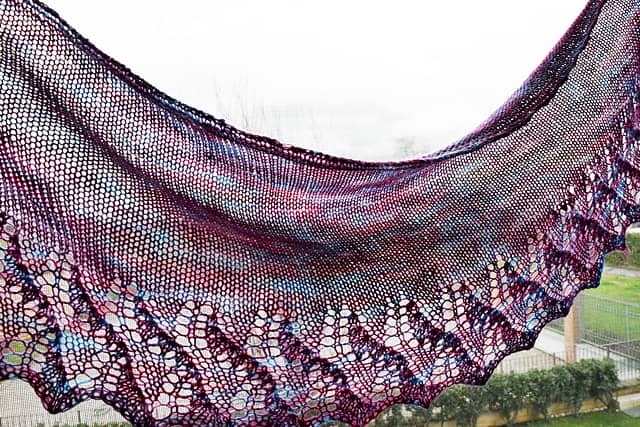 Now that we’ve gotten your attention and convinced you of how fantastic summer knitting can be, check out these 15 absolutely gorgeous shawl designs that you’ll hardly be able to pick just one from! 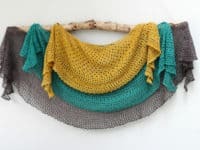 Is your favourite kind of pattern to knit one that involves just a simple stitch for the majority of the shawl, followed by an easy but more interesting border that has some more visual texture than the rest? 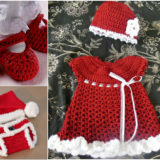 Then this pattern from Rita Taylor is the one for you! 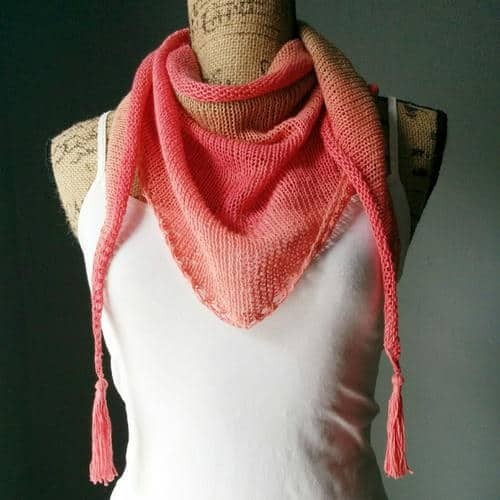 We love the idea of doing this one in a slightly variegated yarn so you can still see the border detailing well, but the more solid portion shows off the colours beautifully. Are you a little bit more experienced and looking for something that will let you play with colours, textures, stitches, and directions all in one place? 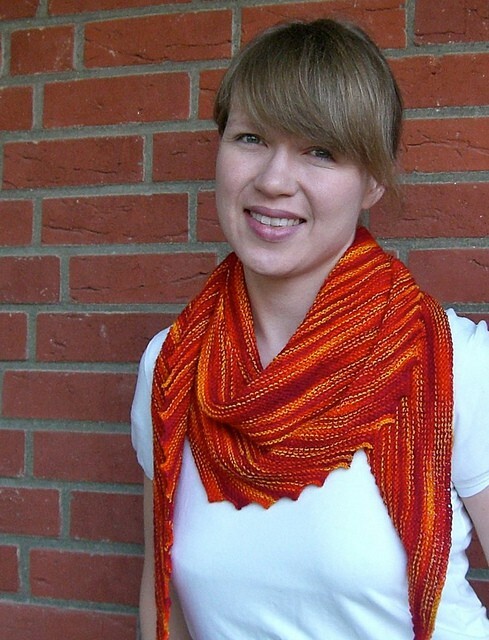 The we think you’re going to adore making this pattern from Julie Ferguson! Besides having different sections in different colours that stitch out in all different directions, you’ll also get to practice making an awesomely shaped border (that’s actually a lot easier to do than you might think). 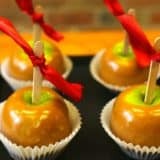 Are you either trying to practice yarn over techniques because you just learned them and need some experience, or simply just a huge fan of them because you love the eyelet effect they create? 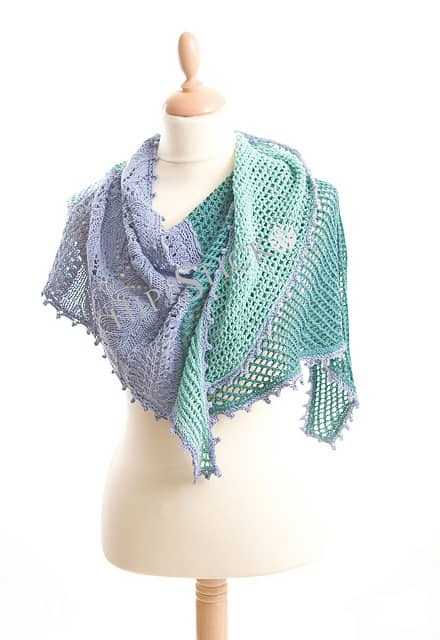 Then the Pebble Beach shawl by Helen Stewart was practically made for you! 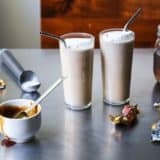 Between that and the increasing crescent shape, you’re in for just enough detail that you’ll stay interested, but not so much that you’ll feel overwhelmed. Perhaps you’ve scored yourself one of those fabulous, absolutely stunning skeins of yarn that has been dyed so the colour naturally progresses in a perfect ombre colour gradient as you knit the wool out? 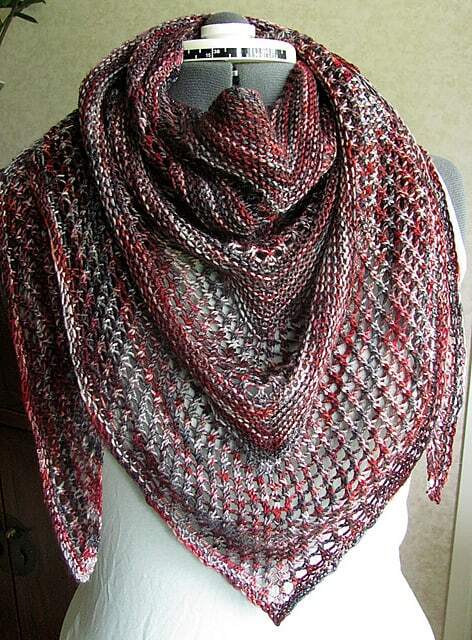 In that case, you simply must check out this simple pattern from Purl Avenue. It’s got great shape, especially if you like tassels, but the centre is relatively solid, letting the full colour spectrum show off well. Is garter stitch you’re absolute favourite thing to do because you love that you can make very garter heavy patterns in front of the TV while you binge watch your favourite show on Netflix after a long, tiring day at work? 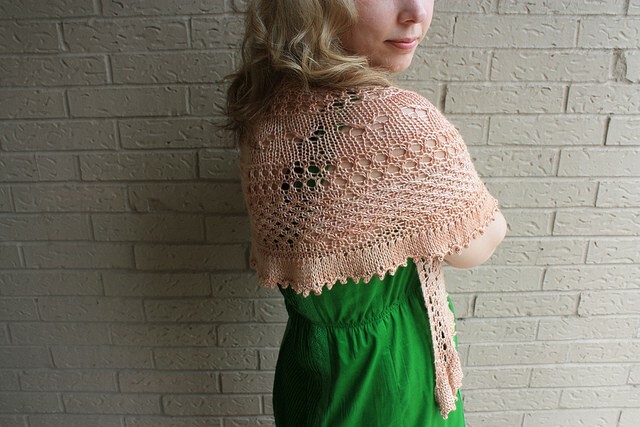 In that case, we think this shawl from Martina Behm is about to become your best friend! We particularly enjoy this pattern because just when you think you’ve finally had enough of the garter, the frilled edge stops you from losing interest. 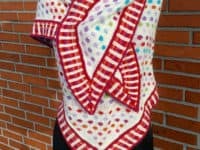 We’ve talked about garter stitch and we’ve talked about yarn overs and eyelets, but what if you’re a big fan of both stitch techniques and you just can’t decide? 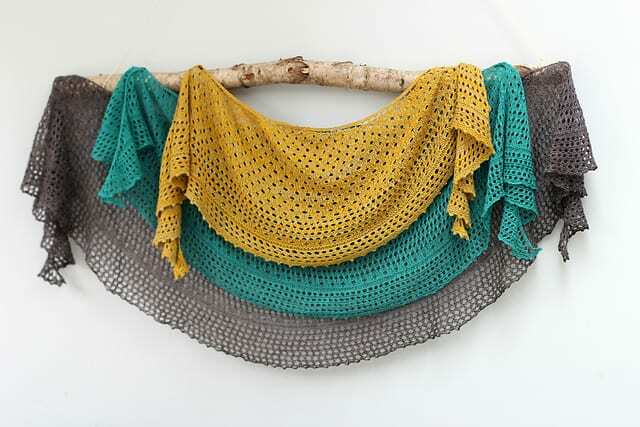 Well, luckily for all of us, the Reyna shawl from Noora Laivola is here to remind us that we don’t have to! 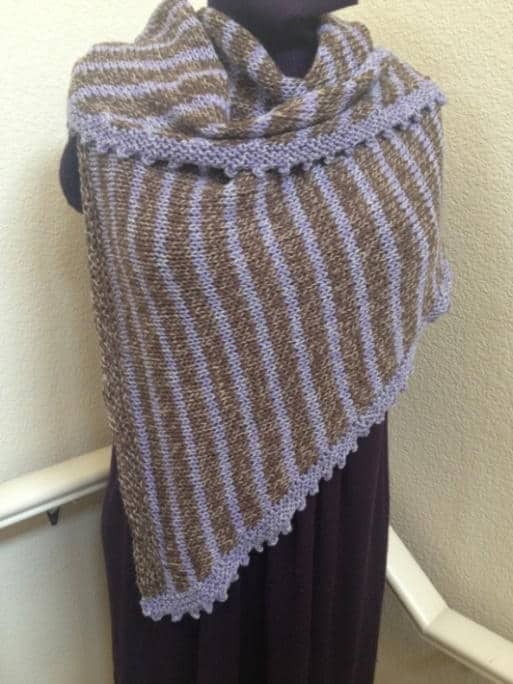 Combine your love for each stitch by knitting this shawl that alternates in panels. 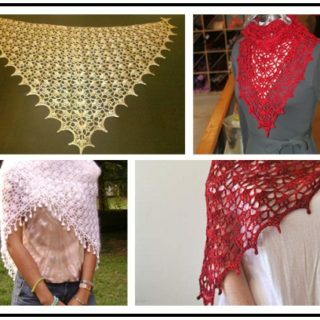 Perhaps you’re looking for a much bigger shawl design that you could wrap around and around yourself when you’re sitting out on the deck or by the camp fire at night, when it’s likely to be a little chillier out than you might think? The this huge crescent shawl design from Darn Good Yarn is a great option for you! We love that they’ve taken advantage of the size of the piece to show off a whole series of very bright colours in a beautiful, rounded colour blocking kind of effect. 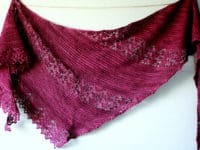 Have you been practicing your lace techniques in thicker yarn and now you’re finally ready to try your hand at making a lace pattern in actual lace weight yarn, but you need to pick something manageable so you don’t feel totally overwhelmed? 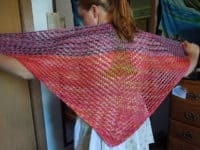 In that case, we absolutely suggest this light, airy summer shawl from Donna Griffin. 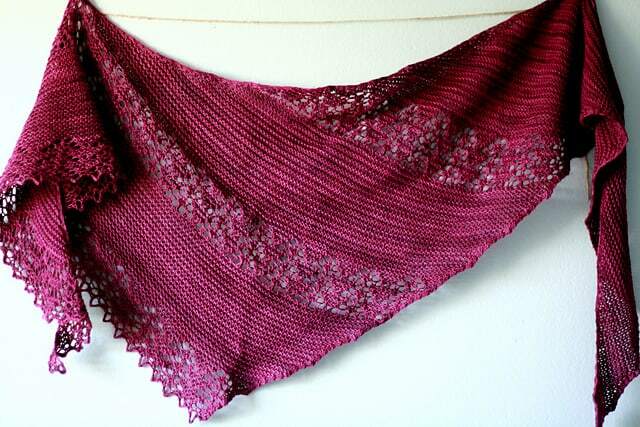 This was actually one of the first lace shawls we ever made ourselves and even though it made us think, we didn’t encounter any big problems and we’ve thoroughly enjoyed wearing it ever since. 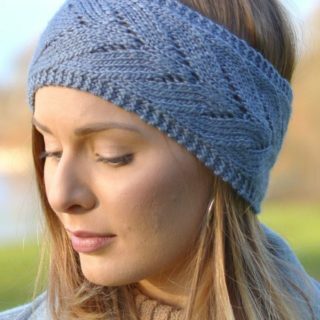 Are you still intrigued by the idea of alternating panels of simple mindless garter stitch and something a little more challenging and interesting to look at? 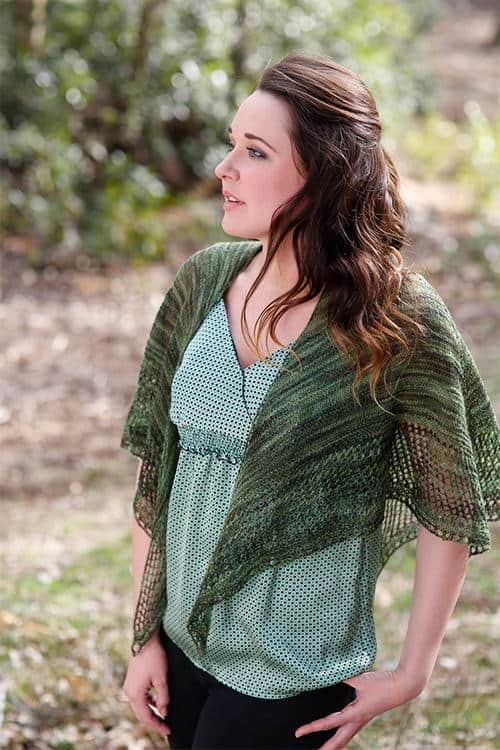 Then this stunning asymmetrical shawl from Heidi Alander will be a dream come true for you! 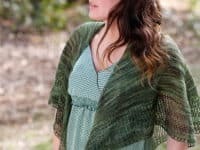 It feels like you’re working in shifts, swapping more intricate lace sections for easy knitted sections that will give you a break in between and sort of cleanse your knitting palette before you tackle more lace again farther down. 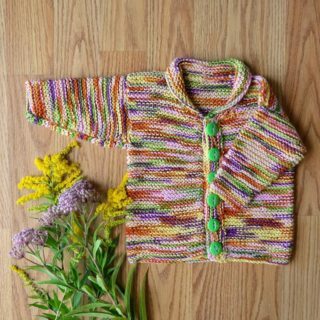 Are you new to colour changing in knitting but now that you’ve learned it, you’re kind of obsessed and can’t wait to put it to good use, even though you still need something slightly simple? In that case, stripes are the best thing for you to try your hand at first! 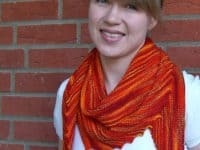 We love the way Lorna Miser‘s pattern guides you through the process of striping a whole shawl all the way across, but also adding a border in your contrasting colour, just or an extra bit of personality. 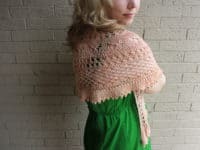 Are you still enthralled by the idea of making a light shawl that’s full of eyelets because you simply see it as a great opportunity to keep warm while still enjoying the fresh summer’s evening air on your skin? Then you’ll love the way this adorable dual coloured shawl from Brown House of Maple keeps you warm without smothering you. 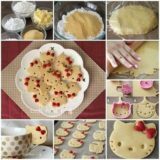 You’ll also love creating all those fun eyelets! 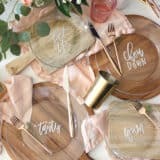 Are your colour working skills a little bit more advanced and you’re intent on putting them to good use while we’re in the perfect season for bright colours and bold combinations? 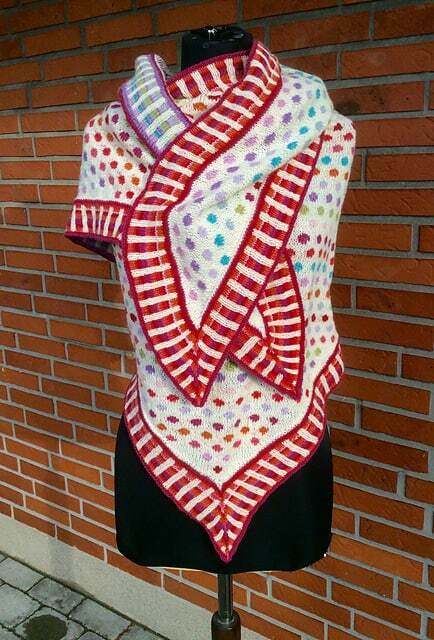 In that case, this super bright polka dotted shawl is absolutely the one for you! We’re obsessed with the way Gitte Kold used so many wonderfully contrasting colours, but you could feasibly only use two if your preferred as well. 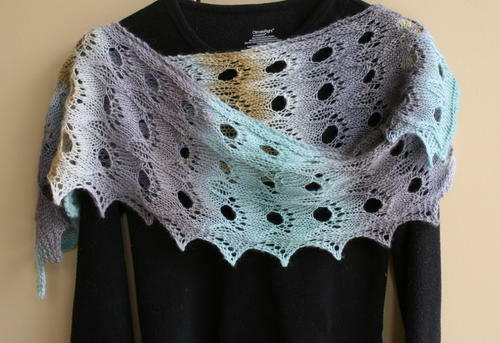 Are you still intrigued by the idea of knitting a light lace pattern, but you’re not very interested in the super whimsical floral designs that look a little too classically pretty? In that case, try this awesome lace design that’s a little bigger in it’s detail and lets you practice making much larger holes using drop stitches! We also love the oblong shape of this piece. 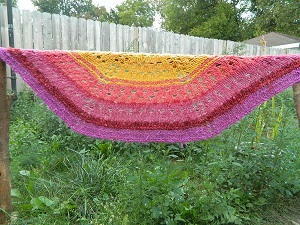 It’s not a scarf, but it’s certainly a uniquely laid out shawl. 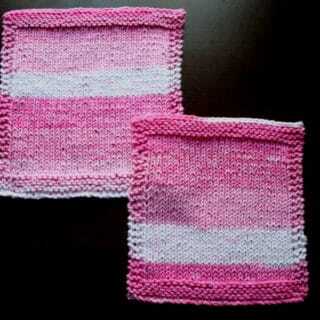 See it in more detail on Roving Crafters. 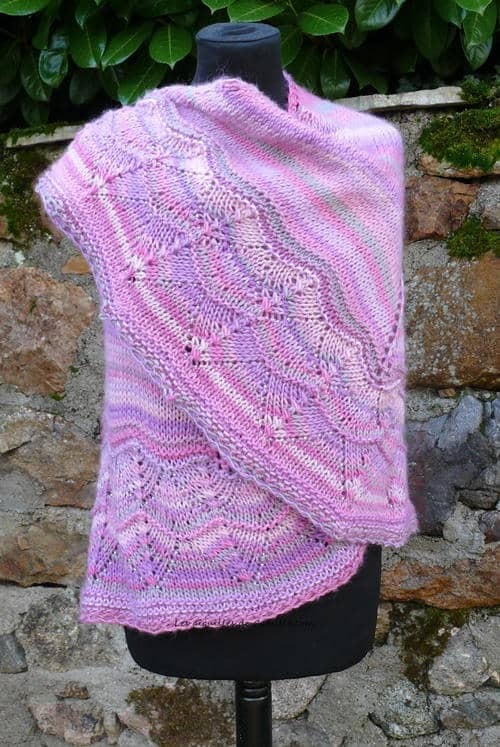 As much as we don’t like to think about the end of summer, what with it being our favourite season and all, we haven’t been able to stop thinking about this wonderfully light shawl pattern from Maria Rosa Spighetti since we vey first saw it! 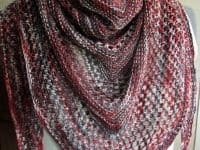 It’s another one that lets you take it easy during the main body and get a little more complicated and creative around the edge and, to be honest with you, that’s out favourite construction style when it comes to shawls for any season. This one’s exceptionally light for warmer weather! 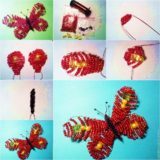 Have you always dreamed about trying your hand at beaded knitting, but you’ve never quite found a pattern that was simple enough in its construction to make you feel confident in adding the extra element of seed beads? 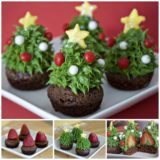 Well, we hope to end that predicament by showing you this simple pattern from Tricote Pas Tous!